Garage Conversion – How Can an Experienced Interior Designer Help? Interior designers, who have years of industry experience, have found ways to achieve utmost client satisfaction by transforming their garage spaces into beautiful rooms. The following process might seem a little easy to you, but trust the experts; it isn’t simple to execute everything that you have on paper to reality. Turn it into a guest room or kids room. Yes, you heard it right! With little efforts, the garage space can be converted into a bedroom with ease. Clean the area, get it painted, invest in furniture and you’re good to go. This can be the best gift that you can give your kid on his/her eighteenth birthday. Why not fulfill your childhood dream of having the best equipment and gadgets in a room which will drip of entertainment? The process is similar to the one mentioned above; you just have to paint it in vibrant colors with some funky artwork on one side and games on the other. One huge LED or projector screen with a Playstation, a pool table or a Foose table, and you can invite your best mates every weekend for some great time. 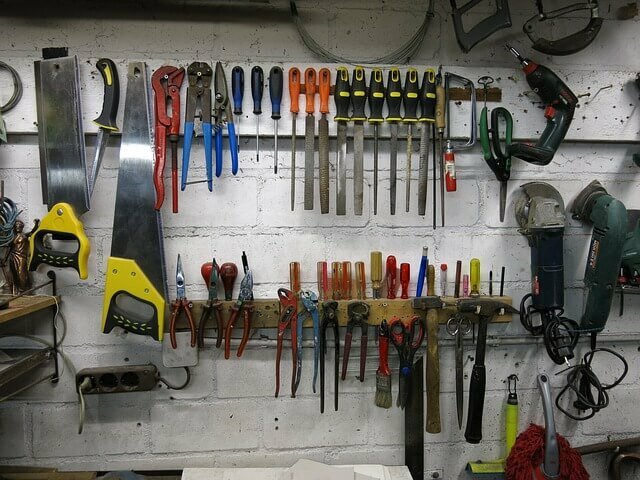 Is it your hobby to modify cars and bikes, build wooden structures or draw sketches, then you can convert your garage into your very own workshop. You just have to spend a little on equipment and tools, and you’re done! With little organizing skills and cleaning abilities, you can easily store items that you don’t use and use that space wisely. You should discuss all the options that the expert gives you and finalize the one that suits you the most. You can even ask him to club any two possibilities if the area allows it. Then, he will provide you with a rough sketch of what all does he have in mind to make sure you and he are on the same page. Plan brick by brick to make sure you don’t waste any resources and time during the renovation by changing parts of the design in the future. This does not mean that you cannot do it, but it only covers up the unnecessary ones! The second step is to clean the whole space to understand how much space is actually available to make the changes. This means that you need to donate the items that you don’t use, store the items that you use elsewhere and check which things can help you in the renovation process. Sweeping the room will not be it; you need to hire cleaning professionals, pest control services and what not to make sure it is a safe place to live in. No matter what your purpose of the room is; it is essential to get this done quickly. Once the cleaning is done, the next step is to paint the whole area with colors that match your theme. Take special precautions on your preferred colors because all the other interiors will entirely depend on the color of the walls unless you are planning to cover them up with huge cabinets. Don’t forget the garage door in the whole process because people often do so. Ask the expert to install an automatic door and get it painted as per the theme to make sure your eyes don’t fall short on any object. Take a considerable amount of time to finalize the colors and only then, get the paint job started. You can purchase stands for different purchases, like a hat and coat stand, basket stand or what not! You can get creative with stands as well by using a hat stand for displaying showpieces or something like this. This is where an interior designer steps in. He is someone who has years of industry experience and the talent to prove his worth, and creative ideas like this will be better executed by an expert than by you. The side walls can have a bunch of cabinets to store essential items relevant to the theme or simply as a storage space. The material and the color of the wood should match the idea for the room so that they do not look a little too separate from the decor. Make sure you don’t construct too many or too few cabinets else it will look very odd. If the purpose is to convert it into a bedroom or lounge, then purchasing a bed and cushions will probably be the most expensive stuff that you are going to spend on, so spend with care. Choose customizable beds that can double as a couch to save space. Go with a fun design if its a kids room and subtle one, if its a guest room. Make sure the space has enough chairs and tables, depending on the people that will use the room because you would not like it, if your loved ones get uncomfortable, even after you have given your best to renovate it. Lighting plays an important role in deciding how a room is perceived. If it is not proper, then all the above expenditure will be a waste of your precious pounds and time. However, if you have hired the right interior expert, then he will make sure that not only the whole space is illuminated extravagantly, but the beauty of every other installment is enhanced manifolds. Place the lights in the right spots to make the most of it. Are you a music lover? Why don’t you turn the space into a recording studio? Or install the latest sound system to enhance your gaming or partying experience. Don’t think twice before buying the most popular whole house sound system because it will surely be worth it. Enjoy the renovated space and learn how an expert can really make a difference with the whole process. Stay within the theme and get the best stuff for your leisure room!